LARUS Business Automation recently entered into RIOS, the Open Source Italian Network: yet another clear message about how much the company believes in the open source philosophy, not just by using it, but also contributing to it as developers of solutions that can be used worldwide, for free. LARUS is at the forefront in the development of integration solutions for Neo4j. People love Neo4j and aim to use it into their systems and applications. Our goal is enable our customers to adopt Neo4j with an easy and effective approach that will add value to their existing solution (without re-inventing it) so that they can take advantage of the power and flexibility of graph databases without the any extra effort. What is, today, the most used and easiest integration option in the Java world? It’s the JDBC Driver. Neo Technology is currently developing the 3.0 version of the Neo4j database, bringing in a brand new protocol, designed for the most famous graph database: the Bolt protocol. Bolt is a connection-oriented protocol that uses a compact binary encoding over TCP or web sockets for higher throughput and lower latency. This protocol aim to become a complete and improved replacement of HTTP. Nigel Small (@technige), the “Bolt” project co-founder, said that “We’ve been measuring performance as we’ve been going along and, while we’re not ready to share any numbers yet, we’ve seen many cases where it’s significantly faster than HTTP.” . 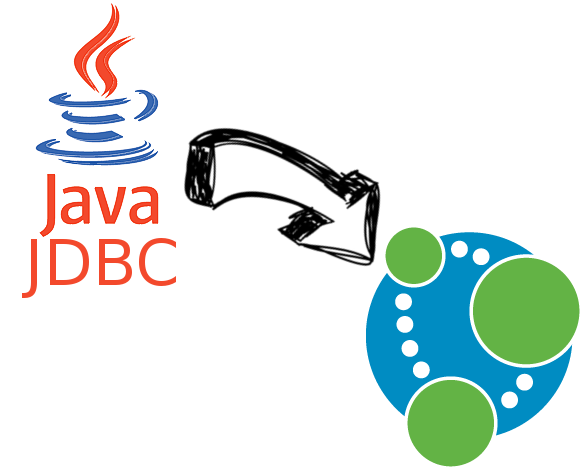 LARUS started developing the Neo4j JDBC driver in order to deliver this new technology to all the JDBC driver users around the world. The first release will fully cover the brand new protocol; next the driver will be extended with the HTTP and file modules for backward compatibility. This driver is written in order to provide users the same performance boost that has been brought on board with Bolt. The whole project has been designed with different modules for different protocols, so users can only import what is actually needed for their projects (skipping useless, heavy dependencies). This driver is developed by Marco Falcier (@mfalcier) and Alberto D’Este (@ziotobiad), our Neo4j Certified Professional and senior consultant, with the valuable supervision of Stefan Armbruster (@darthvader42) and Michael Hunger (@mesirii) from Neo Technology. We owe a debt of gratitude to them for their precious support.